Of course, those who aren’t novices into the hand-drawn antics, this could be a window into a brand new world of Superman. However, this is probably not the best film to start with…owing to lots of exposition coming from the previous films. 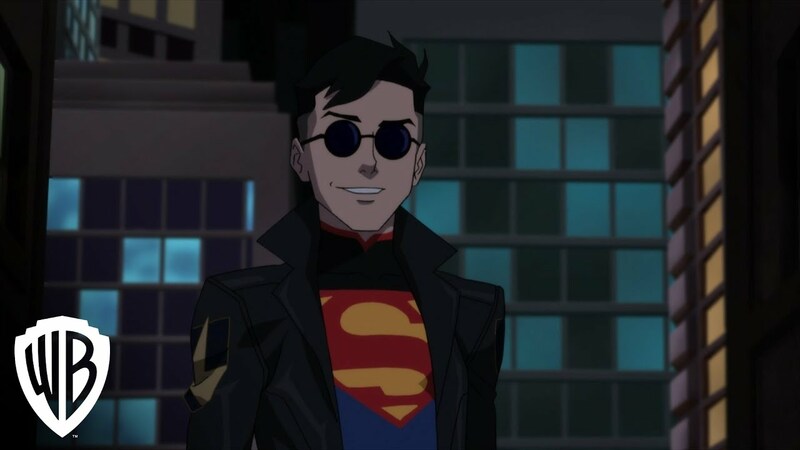 Directed by Sam Liu, Reign of the Supermen is set some time after the events of The Death of Superman which, as the title suggests, saw the death of Superman. The world and Lois Lane are dealing with the grief of losing their greatest hero. However, shadowy figures have started to appear across Metropolis’ skyline. All of them have super-powers and all of them resemble the Krypton alien in some manner. However, is there something sinister happening? Could someone be out for the ultimate revenge. Aforementioned, the plot of Reign of the Supermen relies heavily on your knowledge of The Death of Superman. Though the film does attempt to bring you up to speed on the lore, it really helps seeing the events first hand that led to Superman’s demise. The plot, however, can get confusing and whilst the beats of the story hit emotional strides and has an imposing villain, it fails to make complete sense for the DC layman. There are also twists and turns which keeps the view invested and a brilliant comic book villain. The animation is great and scenes of action are crafted with colour and intrigue – with some scenes set in space. The character designs are questionable with Superman having the smallest head to muscle ratio I’ve ever seen and Lois Lane and Wonder Woman having the same features (though, would definitely watch a spin-off series of the pair. With mainstream animation making great strides with movies such as Spider-Man: Into the Spider-Verse and The LEGO Movie, the fluidity and movement in Reign is somewhat stilted. Reign of the Supermen feels like it was crafted for super-fans. That’s not necessarily a bad thing and for those who enjoy the red and blue super-hero flying through the sky, Liu has made a good film. For others, this is best left alone. 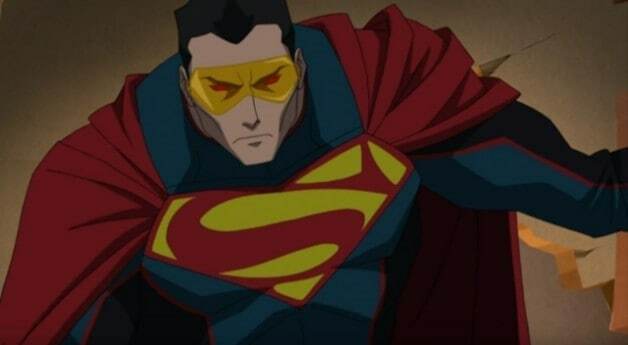 Reign of the Supermen is out on DVD, Blu-Ray, & Digital Download now! Urban legends are myths, started by creatives and told huddled around campfires. They were spread at sleepovers, whispered in classrooms and eventually made it to the adult pub scene which would alert filmmakers to sit back and say, “hang on, we’ve struck gold here.” Ever since, those campfire stories have clung to our minds and horror have delectably dug into our psyches to devour our fears. When I was younger, and even now, one of those stories that’ll tickle and chill me to my bones is the tale of Candyman. I remember the pure fear trickling down (my leg) and the hiding behind the sofa thanks to this gruesome tale. And still now it is a bitter wasp to swallow. Played allusively by Tony Todd in Bernard Rose’s 1991 horror flick, Candyman is based on folklore that if you say his name five times into a mirror, he’ll appear with his bloody hook and slice you a bigger belly button. When Helen Lutz investigates this seemingly innocuous myth for her thesis and as she explores the derelict apartment blocks of several murders, she finds that not only is the legend true but he has been waiting for her for some time. As she battles against this frightful ghoul, she must defend her own sanity and life as well as the life of all that she loves. Tony Todd’s Candyman is the main focus here. The calmly roaring vocalisation of the deeply disturbing villain is unnerving. His poetic speeches areas taunts at Helen and more of a seductive power play. The ferociousness of his tongue is exquisite and that’s what makes it so intensely alarming. Combined with his towering stature and shadowy presence, Todd’s performance will fill you with dread, brimming as he menacingly appears. The delicate was of the destruction that he weaves is incomparable, and only does the charisma of Lecter match the viciousness of Todd’s gruelling Candyman, slathered in blood and wasps. Shoving lines such as “Be My Victim” into his silvery tongue is undeniably scary. And the story allows the sadistic poetic nature of Candyman to play with our psyche. Candyman isn’t just an apparition that cuts and slices, he appears to Helen and aims to seduce her into a grizzly death. And he’ll do so by driving her to madness and framing her for the murders, it is intellectually stunning and different. What’s more terrifying than this though is that a majority of his killings throughout the film are done during the night? This murderous spectre makes sure that the deaths are spectacles because he wants the parish to live trembling in his legend. There is a palpable unnerving sense of realism throughout this movie helped along by the undeniably frightful score. A critically acclaimed horror film is few and far nowadays but when your terribly scary monster bewitched critics and audiences alike with it’s modern gothic poetry. Todd exudes horror and fear yet charm and delicacy making him a unforgettable and unmatchable villain. Candyman is the stalker of thoughts, illusions in the shadows and the fine line between fact and fiction. Much like Robert Englund’s Krueger, I doubt there could ever be a Candyman quite like Todd. Will you dare say his name five times in the mirror? Candyman is out on limited edition DVD & Blu-ray now. Whilst we still have large leaps to make in LGBT rights, there was a time in our own country where homosexuality was an crime. Many men were persecuted for their sexuality and sent away to prison as though it were immoral. Last year The Queen pardoned a lot of these “crimes” yet it doesn’t seem enough. Good men committed suicide or were persecuted for no reason at all, and we must do more to make it right. One of those men was famed writer, Oscar Wilde. In a movie about his later life, Rupert Everett takes charge as director, writer and lead, in Oscar Wilde biopic The Happy Prince . 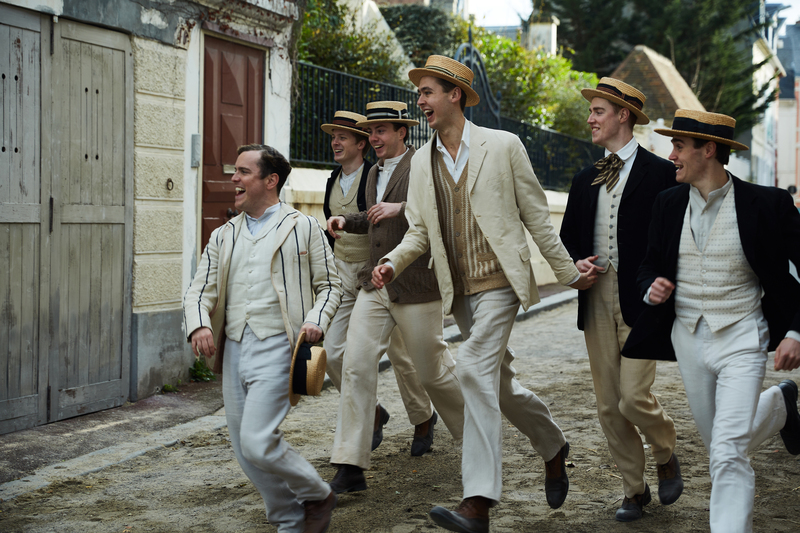 The film revolves around acclaimed author Wilde, during a tempestuous time of his life. After being imprisioned for two years, for falling in love with another man, Wilde is exiled to the South of France where he is kept on a small budget by his estranged wife. Having been abandoned by most of his peers since his arrest, Wilde lives day by day begging for alcohol and affection. He is not completely alone, as his literary agent Robbie Ross and old friend Reggie Turner try to keep him from spiralling out of control. Battered by a turning public and longing after his love Lord Alfred “Bosie” Douglas, the author finds himself walking a dark and mysterious past. Everett’s work is a lush and complex portrait of an author condemned for merely loving someone. This lucid film works as a dream and skims through Wilde’s imagination and memories. Bringing in the bright sunlight, Everett romps around France and Italy, with a keenness to capture the beauty of it all. With high poignancy, the actor turned director accomplishes a brilliant study of fame fallen apart and a desperate artist clinging to the prettiness of the world around him. Moments ebb with pain, delusion, and honesty in a wonderfully impressive film. The triple threat of actor, director and writer works well enough here to produce a good standard of biopic filmmaking. Everett is able to command great highs and even graver lows, as someone who is forced into this isolation, stripped of the lavish and decadent world that he had gotten used too. In the dying days of Wilde, Everett plays a morose poet clinging onto the stars he gleams at from the gutter below. It’s an accomplished performance and truly one of Everett’s best. That being said, I’d rather wish he hadn’t. The garish make-up that adds pounds to Everett makes his character look puppet-y, like a melted wax model of an haggard Wilde. Though he plays each role well (director, writer and actor) he should have at least let one go, in order for the rest to work. And what he should’ve let go is playing Wilde. With a fat-suit and grimace, it’s hard to see anything but plastic jowls and stuffed trousers. It feels as though Everett – so eager and keen to get this story told – would’ve worked best guiding another actor to brilliance. It keeps The Happy Prince a couple of steps behind. There’s enough in Oscar’s story to keep you invested. There’s also great turns by an unrecognisable Colin Morgan as Wilde’s fervent fop Bosie and an endearing performance by Edwin Thomas as the steadfast Robbie Ross. It never makes for truly remarkable filmmaking and is somewhat safe in it’s portrayal, Everett has done enough in his directorial debut. The Happy Prince is out in cinemas now! How good is your memory? Can you remember every detail of that event? What if you were wrong? What if you were remembering differently? What if that event never happened? Movies have explored the volatile nature of memories from Vertigo to this year’s American Animals. Re-released for the first time on DVD & Blu-Ray, as well as being available on MUBI, Last Year in Marienbad (or L’Année dernière à Marienbad) explores memory, love, and fantasy. Last Year in Marienbad revolves around a man and a woman who meet at a lavish hotel, populated by wealthy socialites. The unnamed man is certain that he has seen the unnamed woman before and approaches her, sure of their love affair the year before in Marienbad, However, she cannot remember the tenderness they shared, nor can she remember the man himself. Over the course of the evening, the man spends his time recollecting their previous encounter whilst she bemuses that she has no idea. Last Year in Marienbad is written by Alain Robbe-Grillet, who at the time had a contradictory opinion to Resnais on whether or not these lost lovers had ever met. Since it’s conception, the films ambiguity has sparked many different viewpoints on what is going on in the story; lovers out of sync with their memories, a man speaking to the ghost of the woman he has killed, or he has lost, or perhaps two people entwinned in a forever limbo, retracing the footsteps of their sin. There is even talks about it being a lose version of the Orpheus and Eurydice Myth (which would make it a glorious companion to Jean Cocteau’s 1954 film Orphée. All these interpretations are, whether intentionally or not, woven into the movie, adding to the sleep-like fantastical state that begs for repeat viewing. The films leading actors truly bring this intricate script to life. Giorgio Albertazzi and Delphine Seyrig have enormous chemistry together. 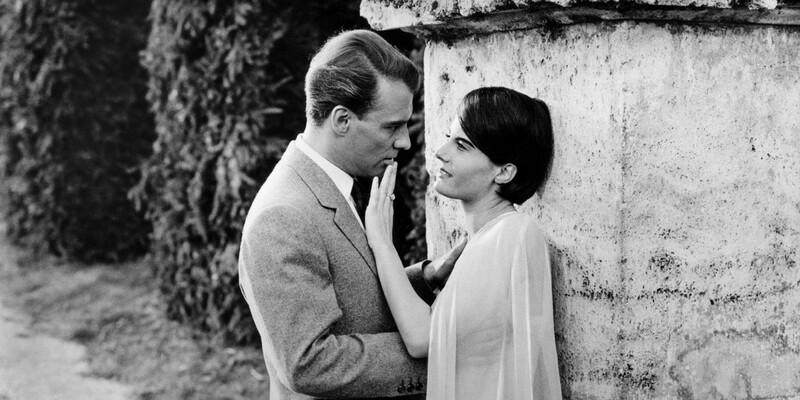 While Albertazzi is great as this lover turned detective, it’s Seyrig that enchants here. Seyrig herself certainly looks like a young Audrey Tatou that, those just visiting is tale anew, will feel an air of Amelia about the feature. With stunning costuming, and even how she moves weirdly, Seyrig creates an allusion of her character – an unfathomable puzzle to be put together bur Albertazzi’s man and us the audience. Last Year in Marienbad is a voluptuous romp that broods greatly. A stunning piece of cinema, this is a must-see for film lovers everywhere. Last Year in Marienbad is out on DVD & Blu-Ray now! Hirokazu Kore-eda follows in a long tradition of humanist auteurs: Yahijuro Ozu, Mikio Naruse, Ken Loach, Hou Hsiao-hsien – filmmakers more concerned with the intricacies of emotion than the grandiose. His previous four films, a spectacular series of dissections concerning family life amidst middle class Japan are quietly, and rather remarkably moving. Both Like Father, Like Son and Our Little Sister find families shaken by the reappearance of a child. The former, a middle class family find out their child was swapped at birth with that of a working class family, the latter; the sudden appearance of their younger sister. Yet neither dwells on the monolithic change in their life, instead on the shift in emotional balance. So to hear of Kore-eda tackling a crime procedural thriller feels alien. Although broader in its twists and oft-messy plotting, it’s again built around conversations, the relationships between fathers and daughters. Kôji Yakusho stars as Misumi, recently released from prison following a lengthy conviction for a double murder. His release is cut short as he bludgeons the factory president of his place of work to death before stealing is wallet. Regular Kore-eda collaborator Masahuru Fukayama is his state defender, Shigemori. The state hope for capital punishment, but Shigemori believes the case to be more complicated than simply open/closed, and hopes Misumi to reveal something more. The murder itself is the least interesting thing about the film and Kore-eda makes it evidently clear that he himself cares little about the violence. Conversations between Misumi and Shigemori are long and winding, built around revelations that only feel like revelations once the credits have come to a close. In the hands of a lesser filmmaker, these would feel artificial and staged, more theatrical than it is cinematic. Kore-eda however understands the importance of conversation. The final meeting between Misumi and Shigemori is maybe Kore-eda at his most cinematic. Cinematographer Mikiya Takamoto blurs the line of guilt through reflection, allowing both to be on the same side of the frame. The film holds back everything and this small moment feels grandiose amidst the hushed whispers. Fukayama, as ever, is remarkable: a conflicted workaholic trying valiantly to stay afloat. The fear of losing the case seems to be of little care, but the why of the murder is his biggest concern. Yakusho too is brilliantly multi-faceted. Although admitting his guilt early on, he plays with Shigemori’s need for absolute certainty, admitting to things he may or may not have done, changing his story throughout with aplomb. Kore-eda has previously discussed class inequality in I Wish and Life Father, Life Son, but The Third Murder feels like his most apparent criticism of modern Japan, in particular the judicial system and the frank use of capital punishment. Whilst certain twists and turns often lack any real punch and it becomes bloated during the final third, The Third Murdermanages to build an impressive amount of complexity with what little it has. A slight detour for Kore-eda, but a welcome one at that. The Third Murder is out on DVD & Blu-Ray now!